Dean from Australia: Then Came The Sun by Trainwreck In Sarasota. 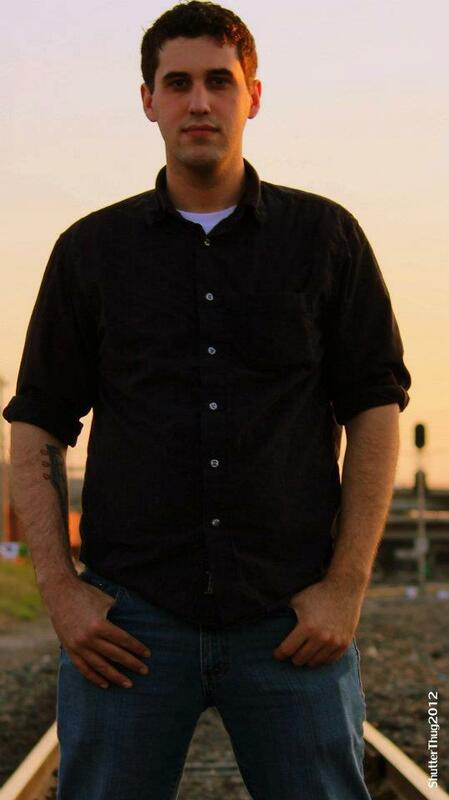 I've talked about the work of singer/songwriter Rob McCann previously when I took a look at his début E.P. "The Narrow Escape" back in 2011. Under the stage name of "Trainwreck In Sarasota", I enthused about his talents as a songwriter at the time, but I was also taken by his exquisite talent with the guitar combined with his nuanced vocals which made him one of the stand out musicians of 2011. Well, Rob is back and has just released a follow up E.P. entitled "Then Came The Sun" via his Band Camp portal. The E.P. comprises four tracks of unadorned beauty, again showcasing McCann's skill as a song smith, instrumentalist and vocalist. Recorded, once again, in a stripped back fashion in Oklahoma, McCann delivers a varied musical palette that, from a story perspective, traverses themes such as reflection, determination self doubt and questions of endurance in an industry that favours polish over substance. His vocals are complex as he marries them with superb guitar instrumentals that are acoustically wondrous. His chord progressions a crisp and he favours a use of minors and sharps over straight up conventional chord groupings which makes for a more interesting sound form. As I was listening to Then Came The Sun, I was reminded of a passage from "Every Man For Himself by author Beryl Bainbridge. 'Think of music," he said. "Why is it that we are most moved by those works composed in a minor key?" It's a obscure reference I know but it is entirely apt. I really wish that I had been acquainted with Rob's work during the period in which I was writing The Hambledown Dream. In early incarnations of the novel, I'd expanded my protagonist, Andy DeVries, repertoire to include both vocals as well as guitar but I opted to go for a pure instrumentalist in the final cut of the novel. If I had known of Rob's work back then, I most certainly would have infused his musical influence into my characterization. McCann is an artist in the truest sense and there is a patience and deliberate quality to his compositions that is so appealing because it is honest. Honesty in music is an increasingly rare commodity. 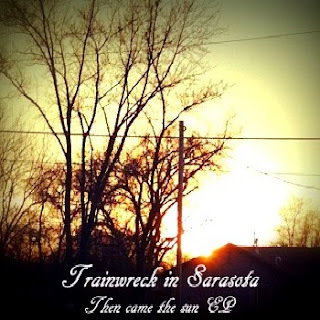 "Then Came The Sun" can be purchased from Rob's "Trainwreck In Sarasota" Band Camp portal. How this works is that purchasers can nominate an amount they would like to pay for the artists work and are then able to checkout securely. It's a wonderfully democratic way to purchase music, so long as one respects the time, effort and sweat the artist has put into their work. In the case of "Trainwreck In Sarasota", no less than his heart has been poured into these tracks, so it is deserving of a proper reward. Buy "Then Came The Sun" here. Follow "Trainwreck In Sarasota" here. Tweet "Trainwreck In Sarasota" here.